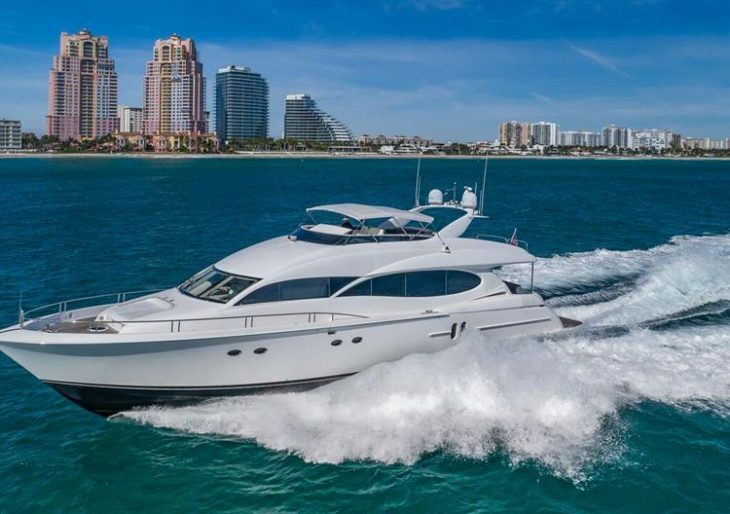 This 80’ Lazzara might be one of the more compelling bargains extant for a yacht. Sporting a recent and extensive refit, Sweetwater is ready for a new owner, and priced at $1.9 million. Sweetwater was launched in 2004. She was designed as a performance yacht, and can sustain a cruising speed of 25 knots; her top speed is a blazing 30. Her engines are a pair of 1550 HP Cat Marine C30 diesels, and she is equipped with Trac stabilizers. Her interiors are classically inspiring nautical, with gloss hardwood and a neutral palette allowing for a tranquil but luxurious living style. Custom cherry wood floors and deco-style veneers bring a welcome but not overwhelming complexity to the shared living areas. Sweetwater’s accommodations extend to three staterooms, all en-suite, as well as a captain’s cabin and crew cabins. 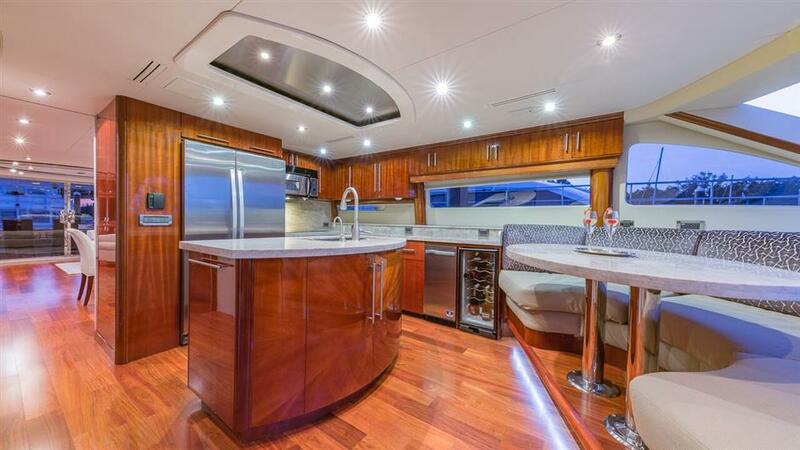 She features a full-beam salon, a dining room that will seat six, a galley with custom wood cabinets, and a dinette with a Taj Mahal quartz table. The engines are warrantied by Caterpillar until 2020; Fabrica stateroom carpet, and new headliners, wall panels, head floors, granite, TVs, and furniture have been installed. 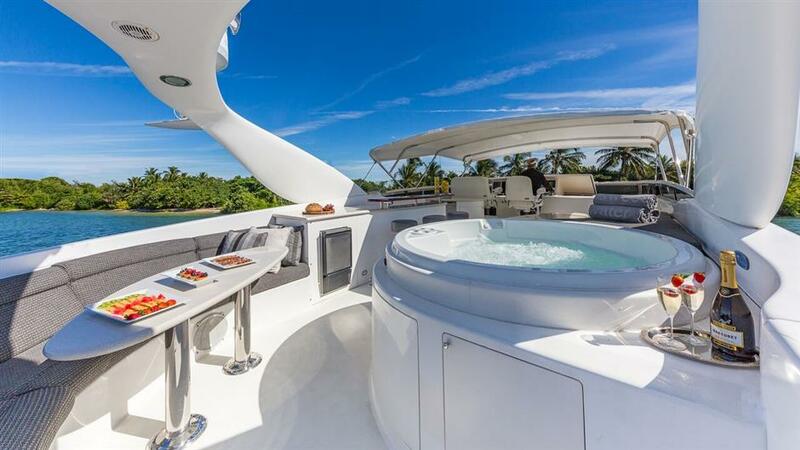 Sweetwater’s recreational outfit includes two storage pods for watercraft and gear, and a large flybridge with bar, spa and entertainment suite.